i like lounging in the lap of luxury. i’m a spoiled kittycat, and i love being pampered. 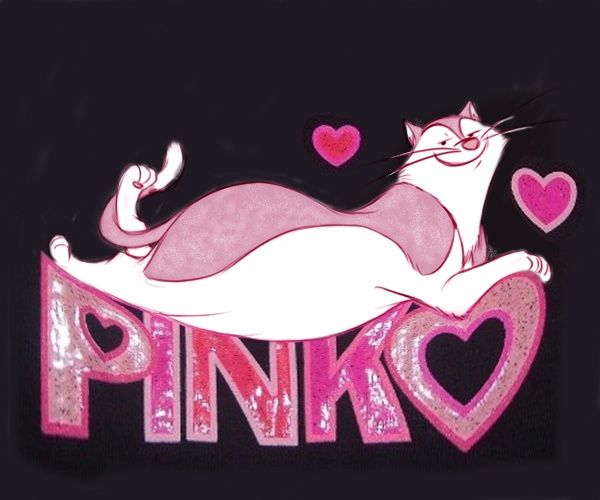 i was watching a movie with my family that had a cartoon panther at the beginning and he was all pink. i don’t know why he was pink, but it made me think, what would i look like in pink? well, i thought about that a while. but thinking always makes me tired, and hungry too. so i took a long catnap and when i woke up i smelled yummy corn and tomato steak fajitas with minced jalapeno pepper and chopped cilantro and crumbled cotija cheese and poblano pepper. pink or any other color, i’m pigging out tonight! i like to hum to music. i have a beautiful tenor voice, especially for the high pitched songs. my family loves my singing too. they like my voice so much that they want me to share it with the neighbors and the all outdoors creatures. so they put me outside as soon as i start singing. i love to share my voice with the world. sometimes when i feel just ho hum i sing the blues deep down low. and when i feel happy i like to really belt it out. my neighbors like those the best, because they always toss special things over the fence for me like boots and balls and even shovels! i don’t really need those things, but i’m glad they appreciate talent when they hear it. 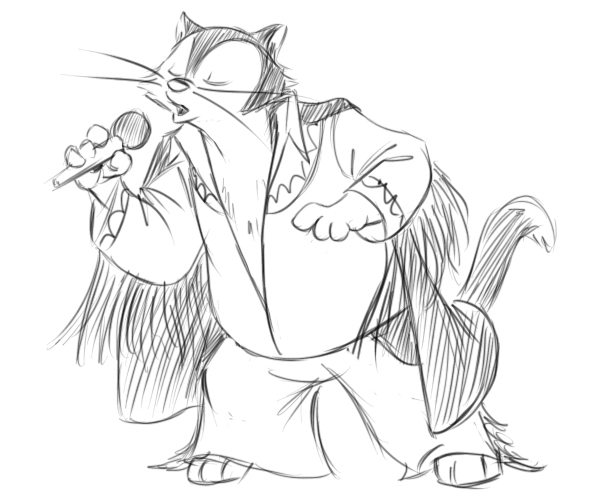 sometimes i sing my entire repertoire! singing for 2 1/2 hours really builds up your appetite, and i’m ready for dinner by then. and today i’m getting macaroni and cheese with bacon and unsalted butter and fresh thyme and diced onion bits and yummy apple pie with bavarian raspberry crunch ice cream for desert! 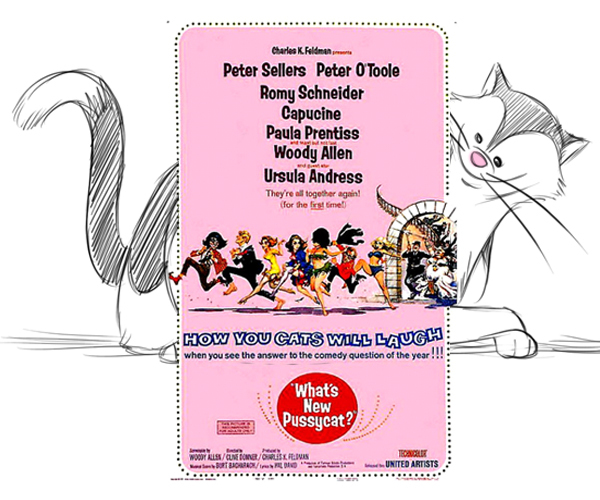 what a silly movie! i like watching funny movies with my family all laughing really loud. they shake when they laugh, and then they spill popcorn all over the couch. i never spill my popcorn. i don’t even know what’s so funny in the movie- just a lot of people running around or driving around in little cars and kissing each other and putting their clothes on the wrong way. i just have fun watching my family laugh. after a while i forget about the movie and i think about food. that’s what makes me smile most. and tonight we’re having a special dinner- french onion soup with chopped garlic cloves and grated gruyere and fresh thyme sprigs. i love french onion soup, except that it makes me really messy. cheese sticks to my whiskers and unions get all over my fur, so and when i’m done i have to give myself a bath. but it’s worth it- for food it always is! my family found some mouse poop in the garage. how disgusting! can’t mice just use their litter box like i do? well, my family brought me into the garage to catch the mouse. i walked around but i couldn’t find him. then mom found a hole in the wall, and that was his home! so she put me right next to the hole so i could catch the nasty critter when he came out. i sat there preparing my plan of attack, but i waited a long time and nothing happened. that garage is really uncomfortable! i stretched out on the hard floor, wishing i had my soft pillow, and before i knew it i woke up and it was dark and way past my dinner time! i was starving! i hurried inside and gobbled up a delicious bowl of chili with fresh tomato sauce and paprika and louisiana hot sauce and unsweetened cocoa. and then i went to lie down on my comfy pillow. i’m glad i never saw the mouse because i’d probably run off if i did. 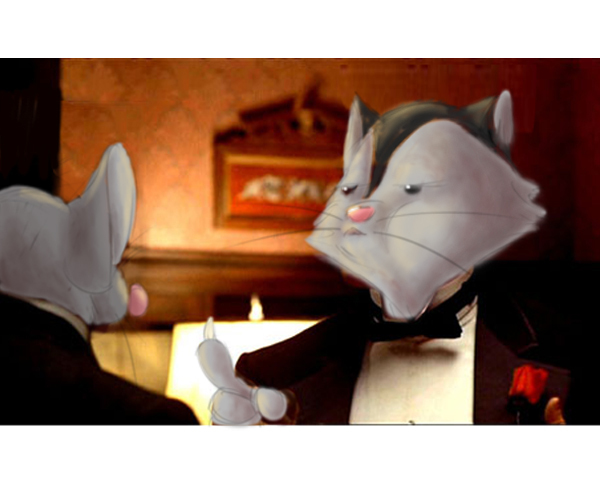 mice kind of scare me. i love gangster movies! my family cozies up on the couch with me spread out on the armrest and we turn the lights off and watch the movie in the dark munching popcorn. i love the shoot-em ups with the tommie guns. of course as soon as the shooting starts i close my eyes. all that noise and scary stuff- i can’t watch when that happens. i just wait until it gets quiet again. old black and white gangster movies are really fun too. i like it when the hero is conflicted because he doesn’t want to be a gangster but he’s tricked into joining and then he has to save his girl and promise her that he’ll quit the bad life. i myself prefer the good life. 3 meals a day plus snacks with nice long naps in between, and the occasional backyard exploration adventure. and tonight’s dinner should be a real adventure. pasta! manicotti with peas and italian turkey sausage with chopped fresh basil leaves and ricotta and pecorino romano and of course manicotti shells. now that’s the good life! what am i doing?! 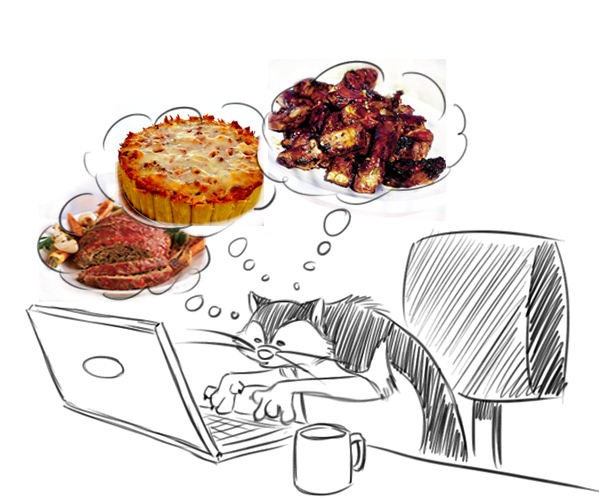 who could write about all that food without getting hungry?! i need to eat now! but dinner is an hour away- what am i going to do all that time?!! i’m certainly not thinking about food. i’ll explore the backyard and climb the avocado tree and… yummy sliced avocados…no! i’ll stroll around the vegetable garden and… celery sticks with peanut butter…no! i’ll take a nap by the barbeque… cheeseburgers and fries…no!! i’m going nuts! nuts, nuts, i’d love some nuts right now! peanuts! wall nuts! almonds! i love almonds! i can’t get away from food- it’s all i can think of! okay. i’ll just sit here not thinking of anything. ……………………………………………………………………….. ho hum, that’s better. not thinking at all. 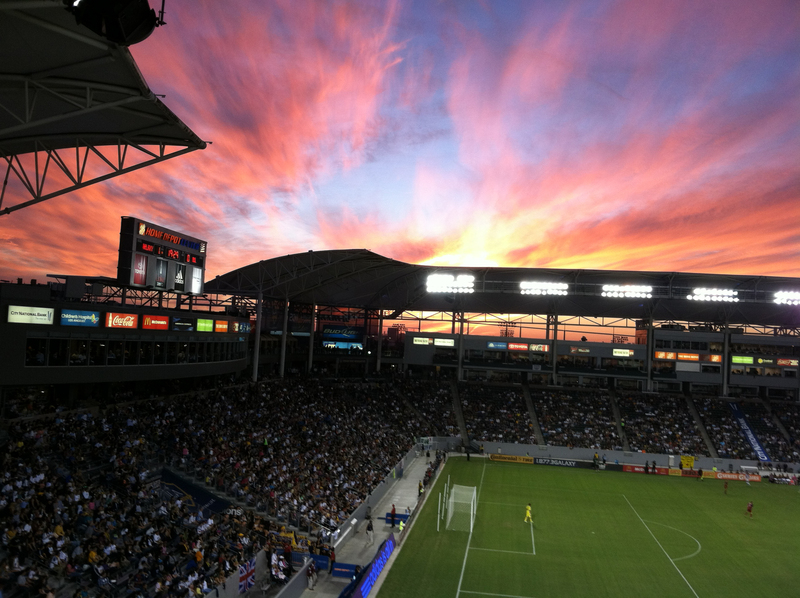 just staring at the pretty clouds in the sky………………………….that one looks like a turkey leg…….. and that one…..
AYSO night at Galaxy stadium. frans went to see the galaxy soccer game saturday night. look at the pretty picture he took. too bad the galaxy lost. i watched the game on tv. those soccer players sure run a lot! and just to chase after a ball! the only reason i could think to run that much would be if i got a really nice meal. otherwise what is the point? life is meant for comfort. that’s why i have 4 legs, so i can tuck them in and curl up on a warm pillow. tonight i’m getting a roast beef dinner, and i don’t even have to run for it. i love roast beef made with garlic and olive oil, bathed in red wine gravy, and big slice of apple pie for dessert! 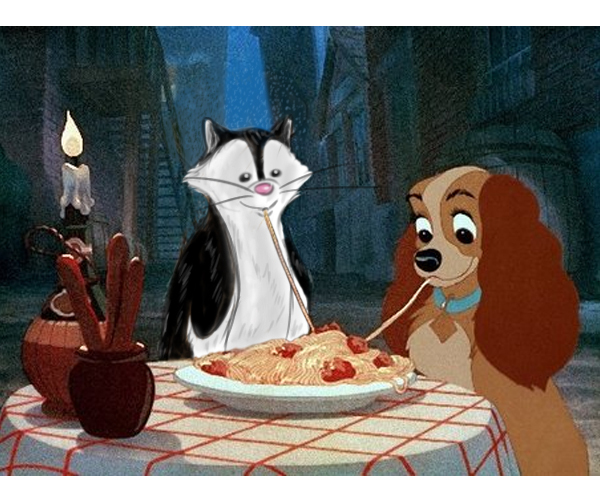 i love spaghetti! i don’t really like the idea of sharing my meals, but watching a movie with the family made me wonder what it would be like. for me, eating is very personal. i like privacy with my meal, a time for me to be in touch with what i digest. my bowl is in a corner of the kitchen, so that’s my own spot. i get so excited when i eat that i start to purr. food is one of the most important things in my life. after all, i only get three meals each day, so eating is very special. for instance, tonight we’re having spaghetti carbonara with eggs and cheese and bacon and a bunch of parmesan cheese all over it. i’ll definitely need a little me time for that! At the Orange County Children’s Book Festival! 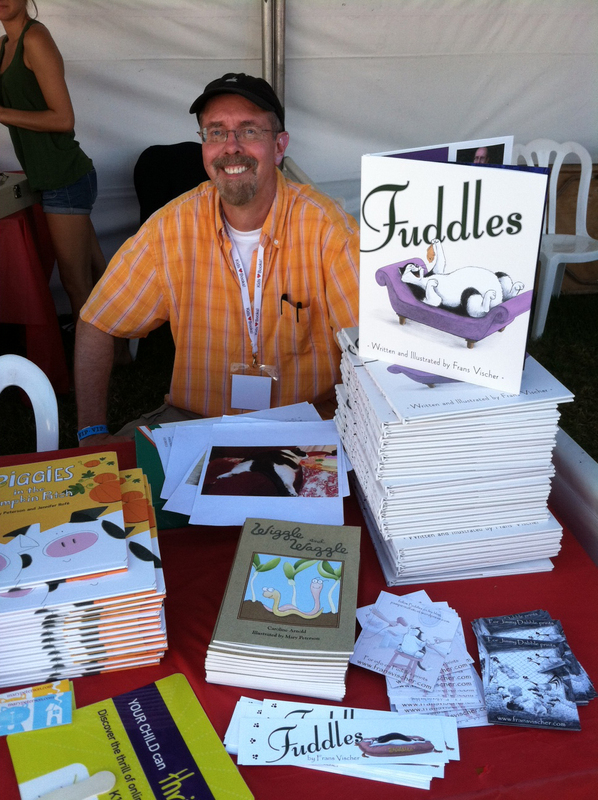 Frans was signing fuddles books at the orange county children’s book festival on sunday. it was hot and crowded, but lots of people stopped by the booth. i think he had a good time! but i had a much better time. 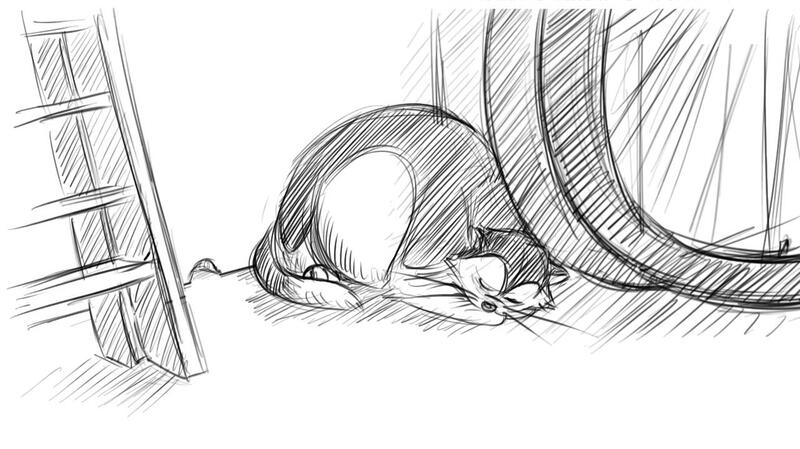 i took a long leisurely nap on the couch in our air-conditioned house. i didn’t go outside once. i prefer the temperature around 72 degrees, so i stayed inside where it was nice and cool. and after my nap i had a delicious meal- grilled shrimp with pine nuts and orange mashed sweet potatoes and creamed garlic corn. and after that i took another leisurely nap. now that was a day well-spent!